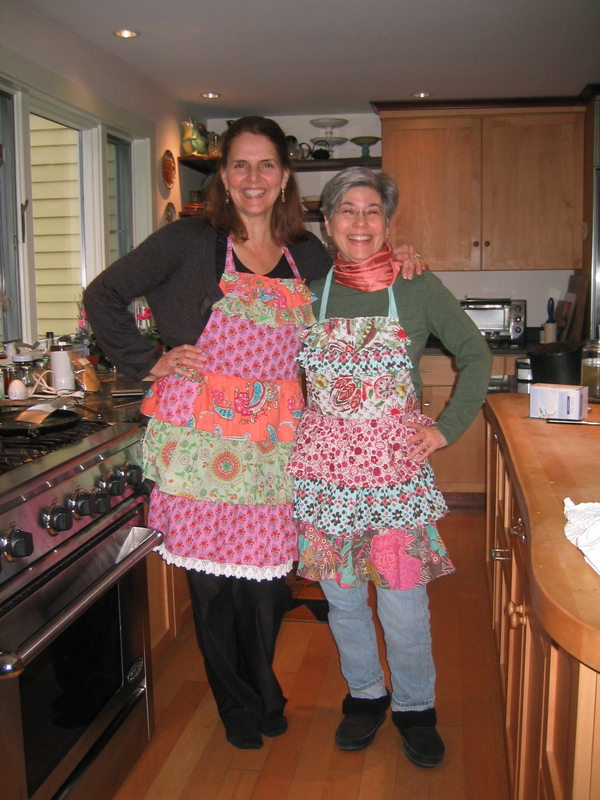 T and me in our new aprons. I choose a what I believe is a healthy lifestyle. According to some people there is not enough scientific proof that clean air, pure water, good quality sleep, simple, unadulterated, natural food is a better, healthier way to live. I operate from common sense. It makes sense to me to take care of myself by exercising, choosing organic foods. I don’t need a study to tell me that I feel good after a walk in the woods or good night’s sleep or a yoga class or miso soup and brown rice. I also don’t need to argue about it with anyone. I like my life. There are others who feel the same way. There are many looking for this way. Perhaps there are not enough independent scientific studies proving that EMF’s from wifi, cellphones and cordless phones are hazardous to my health. Never before have people lived in environments so laden with EMF Pollution. Scientists claim the true health hazards of EMF Pollution will not be known until the current youth reproduces, as EMF Pollution has been known in scientific studies to permanently damage DNA and cause birth defects as well as miscarriages. I’m not interested in waiting for the results. I have lived most of my life walking to a different drummer than most. It’s a groovy rhythm.